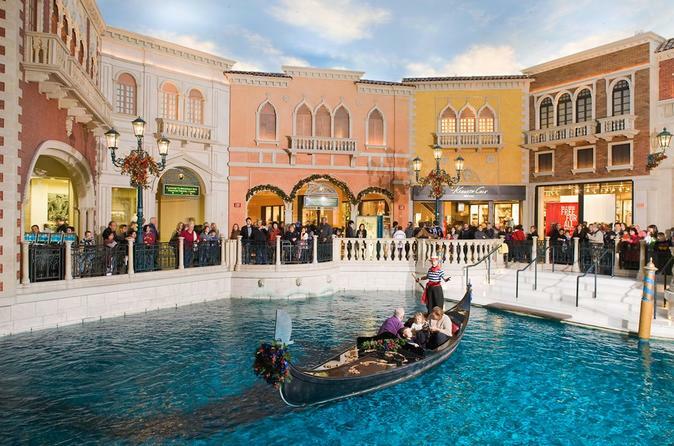 Experience the Grand Canal Shoppes at The Venetian for fine dining and great shopping during your visit to Las Vegas. Purchase a package that provides deals including shopping discounts, a $25 dining certificate, a complimentary gift and shopping bag, and more. With more than 160 stores such as Barneys New York, Jimmy Choo, and Christian Louboutin, and 30 dining venues, this self-guided package at Grand Canal Shoppes offers something for every taste.